That's a bizarre presentation with those poor dudes stuck in that corral. No one from CES would make the trip over there. That sounds like my race car.......a 1/10th scale RC race car!!! I would like to see these race alongside the F1 cars and it's kinda cool that McLaren, Dallara, Williams, and Renault collaborated to build it. 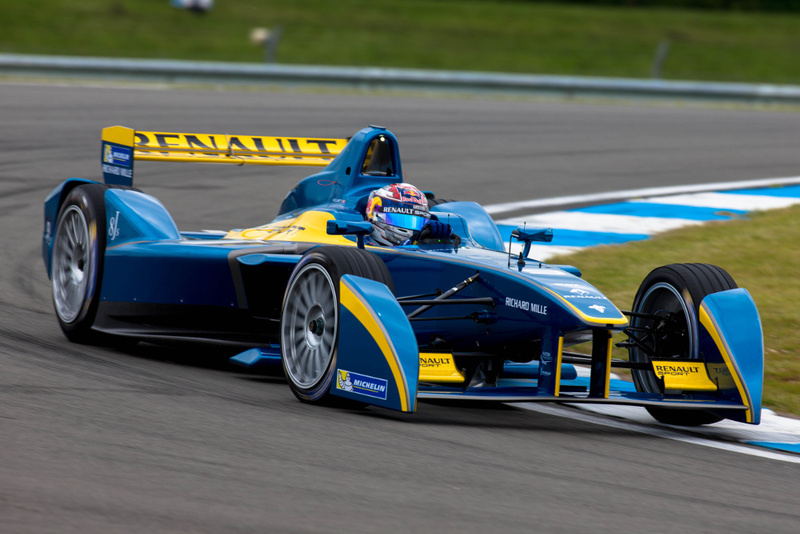 All-electric formula racing is coming soon, in the form of the FIA’s Formula E Championship. The first official test for the series and the cars was held today at Donington Park in the UK. Fastest in the new Spark-Renault SRT_01E was Sebastien Buemi, a former Formula 1 driver, posting a 1:35.475 lap around Donington’s full GP circuit. Fellow former F1 driver Lucas di Grassi was also quick, but ended up more than a half-second behind Buemi. In other words, Formula E racing should be quite brisk—considerably faster than all but the fastest door-slammer race cars, and on par with some of the lower-tier formula series. Other big names on the Formula E test grid include Jarno Trulli, Nicolas Prost, Jaime Alguersuari, Nick Heidfeld, Katherine Legge, Scott Speed, Bruno Senna, and Stephane Sarrazin. A complete list of final times from the test session can be found below. A second day of testing at Donington is scheduled for tomorrow. The first race of the FIA Formula E Championship series kicks off September 13 in Beijing, China. I'd enjoy watching this series as a support race on an F1 weekend for sure. Maybe I'll catch them next year in Monaco when we go. It's so weird watching this with no engine noise. And having to swap out cars half way through the race because of a depleted battery is strange to see. Still look/sound better than the 2014 Formula One cars. I'm not keen on the swapping cars routine. Hopefully they'll tweak the next season to have swappable battery packs - which should make for more interesting pit stops. It's bizarre watching a motor race with background music running for the entire race. they should pipe in screaming V-10's, 8's and 12's like the "olden days." I don't like the swapping cars either... Apparently the plan is to develop batteries than can last throughout the race so nothing has to be swapped. Why stop there? Each car can have an option to change their "engine" noise through built in speakers. Options are V8, V10, V12, turbo prop, jet, and silly ring tones. Was funny listening to ummm nothing but air moving when the cars passed! Spark Racing Technologies have announced they will continue to supply the cars for Formula E for the 2018/2019 season. Reason to be excited? They could - possibly - look a little like this. For the fifth season of Formula E then, SRT will present the ‘SRT05e’ chassis, which has quite the job on its hands. First and foremost, the car will have to travel twice the distance of the current FE racer, which means no mid-race pit-stops. It’s also meant to be much more powerful than the current cars. We’re promised a more efficient drivetrain and better aero, packaged into a lighter car. They’re still developing the chassis - in collaboration with Dallara - but concede that the battery will have to be heavier to accomodate the additional race distance. “The new SRT05e represents considerable progress in the world of electric racing,” Spark tells us. We’ve not yet had any firmer details, but then it’s a way off. The current cars pack around 200kW for qualifying, though that’s pegged to 170kW during the race. Fans can award a particular driver with 100kJ of energy for their second car, too. So it may or may not have a closed cockpit canopy? Looks like a closed canopy to me. Side profile looks like open canopy with windshield, maybe with the top removed? Anyone else think that should be the F1 car? I like how it looks, but some people think F1 cars should always be open wheel. I see it as could be faster and have much more downforce. Cockpit should be open though. Get ready for more power, more miles, and more protection. What do you reckon? Well, this is a bit of a surprise. The Formula E championship has revealed the first pictures of the car that every team will run from season five onwards, and it is thus. Look at it. Like an electric Batmobile with a giant halo. It’s certainly very interesting to look at. As TopGear.com told you recently, season five of the Formula E series (which kicks off later this year, and into next) will feature cars that have double the energy storage capacity and twice the range. 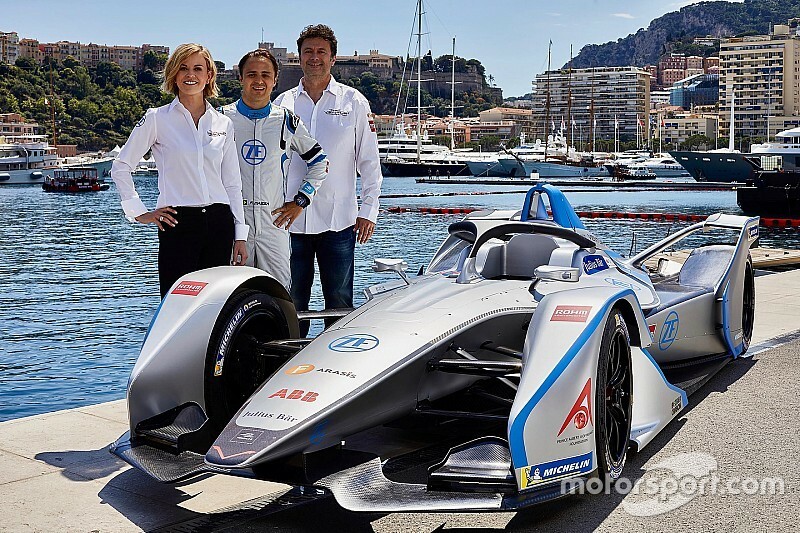 “This car represents the future of racing,” Formula E founder Alejandro Agag said. The full technical debrief will arrive when the car is launched at the Geneva motor show on March 6, so stay tuned for more info. Another car ruined by the halo. Yeah after the concept I was really hoping for the half windscreen design instead. Other than the halo they stayed fairly close to the concept. It was never fully going to look like the concept. However it is no longer really open wheel racing either so is it really formula E? 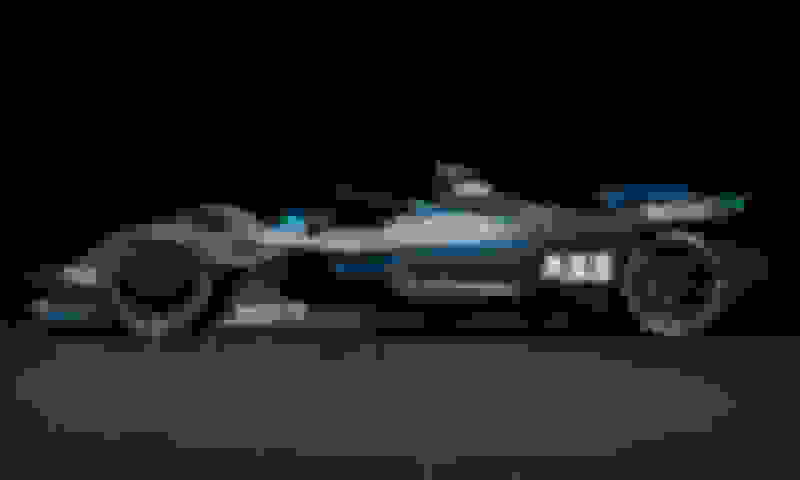 Mercedes has revealed the first details of its Formula E entry for 2019, which will receive support from its world championship-winning Formula 1 team. The German manufacturer will quit the DTM at the end of 2018 to focus on the all-electric single-seater series, which it will enter at the start of the 2019/20 season. 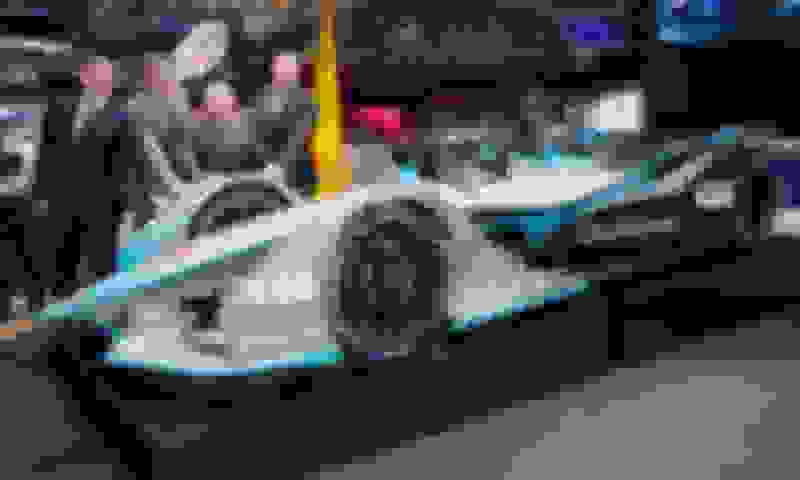 Mercedes will develop its Formula E powertrain at its Brixworth engine base, which has been responsible for its dominant Formula 1 power unit in recent years, and will now “expand its scope of attention to include the unique challenges of Formula E”. It will also receive support from its F1 operation in Brackley, and its trackside operations will be run by longtime factory partner HWA, which is entering Formula E as a Venturi customer team next season. "The combined know-how of the Mercedes family at Affalterbach [HWA], Brixworth and Brackley provides the perfect foundations for our new Mercedes EQ Formula E team,” said Mercedes motorsport boss Toto Wolff. “I cannot imagine a better combination to take on this kind of project. "Formula E is a unique series with some very specific challenges for its teams. “We know the level of competition is extremely high and we will approach the challenge with energy and humility. “There can be no other approach when we are up against 10 competitive manufacturers, many of whom have years of experience in the series." Mercedes believes the experience its High Performance Powertrains division has gained from the hybrid F1 project “will form the cornerstone of the Formula E technical project”. It added that its work on the F1 Energy Recovery System (ERS) “led to rapid in-house learning around both hardware, including the high-power electric motors, and the associated deployment systems which optimise the power delivery of hybrid energy in the racing environment”. Sehr interessant. F1 should be worried. Last edited by nanxun; 05-18-2018 at 11:25 AM. The FIA has confirmed that the temporarily-titled 'Hyperboost' plans to change Formula E’s race format will be implemented for the 2018/19 season. As exclusively revealed by Motorsport.com, FE had been evaluating a "Mario bros" race format to coincide with its switch to the Gen2 cars. The FIA has now formalised plans for the system, which will not be called Hyperboost when it comes into effect, and officially set the two mandatory power modes drivers will have to use during each race. With the standard race setting set at 200kW, the higher power mode (225kW) will be activated once a driver goes through an activation zone. It is understood that the zones will be off the racing line, to slow the drivers down, with digital screens placed nearby to signal the area to spectators. It had previously been suggested that the system would be available twice during FE races and last four minutes each time. But it has now been confirmed that "the number of activations and the duration of the use of the higher power mode will be determined at each race by the FIA, according to the individual features of the circuit," per an FIA statement. 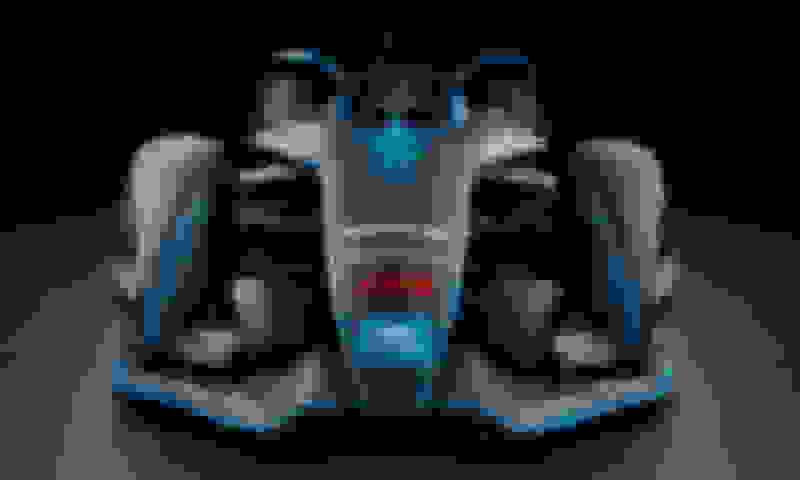 Motorsport.com understands that after the draft Hyperboost proposal was presented to the FE sporting working group, concerns were raised that the anticipated effects of chaotic racing could not be guaranteed. This is because simulations had determined that the teams would activate the system at similar times and that would prevent the desired competitive shake-up. It is understood that the activation allocation and high power mode duration may only be confirmed by the FIA in the days leading up to each race. Drivers who are allocated fanboost activation during FE events from season five, will only be allowed to use it when they are in the higher power mode, which will add 100kJ and raise power to 250kW. Further details on the system and replacement name for hyperboost are expected. The FIA has also announced that FE races will no longer run to a set number of laps, but will now have a maximum time limit of 45 minutes plus one lap. “The ABB FIA Formula E Championship has always produced highly-competitive and unpredictable racing,” said series CEO Alejandro Agag. “Formula E is synonymous with innovation and pioneering technology - that’s exactly what we’ll be seeing again next season with the step-up in performance and efficiency of the futuristic next generation car, as well as trialling unique and radical concepts to usher in a new era of Formula E.
“I’m looking forward to seeing the new cars and format in action against the backdrop of iconic city skylines - starting in Ad Diriyah in December. Susie Wolff has become the team principal of the Venturi Formula E team with immediate effect. Back in the early days of the automobile, racetracks were proving grounds for newfangled inventions like shock absorbers, disc brakes and seatbelts. Something similar is happening at the dawn of what may be the age of battery-powered transportation. It was on vivid display in Zurich last month, as the silence of a warm summer Sunday was broken by a high-pitched sound reminiscent of the rebel fighters attacking the Death Star. The whine came from battery-powered racecars running laps on a course laid out on the streets of Zurich — the first urban circuit race in Switzerland in more than half a century. On June 10, the normally staid Swiss banking city hosted the Formula E series, which will culminate in Brooklyn on July 14 and 15. Formula E, the electrified cousin of Formula One, is first and foremost about marketing, a 140-mile-an-hour riposte to those who think battery-powered cars are part of a conspiracy by tree-huggers to take the fun out of driving. But the racing series, which has attracted support from major automakers like Renault, Volkswagen’s Audi division, Mahindra of India and Citroën, is also the place to test out new ways of addressing the unique challenges of battery-powered transportation: range, charging technology and management of the performance-sapping heat that bedevils electric cars. Formula One, for all its immense popularity, no longer produces many innovations that are useful in mass-market vehicles, said Sébastien Buemi, a driver for the Formula E team sponsored by Renault. “The good thing with Formula E is that you can develop many things that you will be able to transfer to road cars,” said Mr. Buemi, who has also driven in Formula One. For example, he said in a telephone interview, the powertrain in the Renault Zoe, a compact vehicle with a maximum range of about 150 miles per charge, is based on a Formula E design. “A Formula One engine is impossible to put in a road car,” he said. During a pre-race stroll though the pit area in Zurich, it was obvious that managing the heat generated by high-voltage electric car batteries is arguably a more vexing problem than range or charging time. 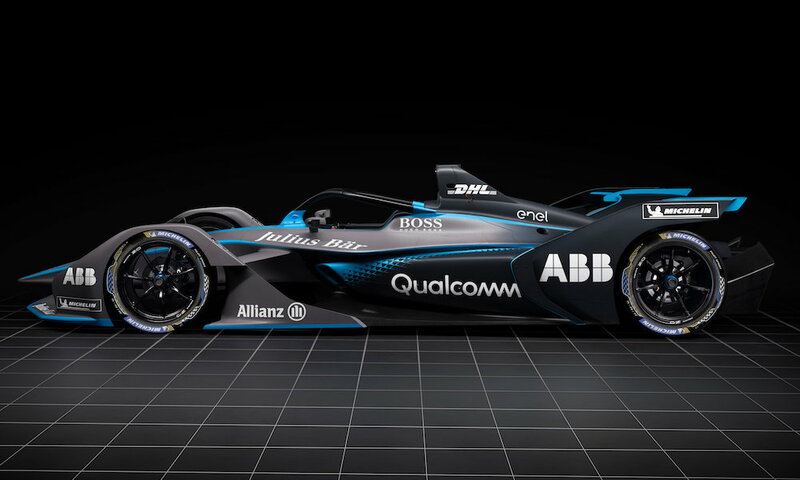 ABB, the electrical equipment company based in Zurich that is Formula E’s lead sponsor, has demonstrated technology that needs just eight minutes to zap enough power into a battery for about 120 miles of driving. But a recharging station with six of these high-voltage chargers would put enough strain on the electricity grid to cause a blackout and melt ordinary power cables, said Ulrich Spiesshofer, ABB’s chief executive. 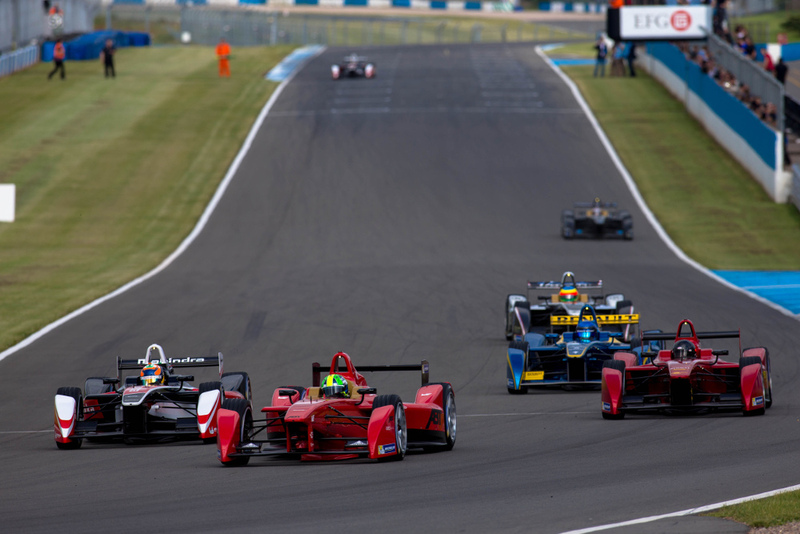 ABB, which is supplying recharging equipment for Formula E and has ambitions to be the global leader in charging stations for electric cars, sees the series partly as a way to generate public support for infrastructure investments. “When you have a racecar that accelerates and brakes all the time in a very extreme way, in humid conditions, in cold conditions, in wet conditions, in dry conditions, it’s a great opportunity” to test new technology, Mr. Spiesshofer said. The heat was a particular problem here, where the race-day weather was sunny and hot enough to attract crowds of bathers to the shores of Lake Zurich, a stone’s throw from the course. The problem, it must be said, is not quite solved in a way that would make sense for everyday driving. Shortly before the race began in the late afternoon, pit crews shoveled nuggets of dry ice directly into the air intakes of the racecars to keep batteries cool. Some teams employed a decidedly low-tech cooling method: shielding their battery and motor compartments with ordinary umbrellas. Formula E teams and their auto industry sponsors can gain a competitive advantage if they can work out a better solution than rivals to such problems. And those advantages could translate from the track to the sales floor. 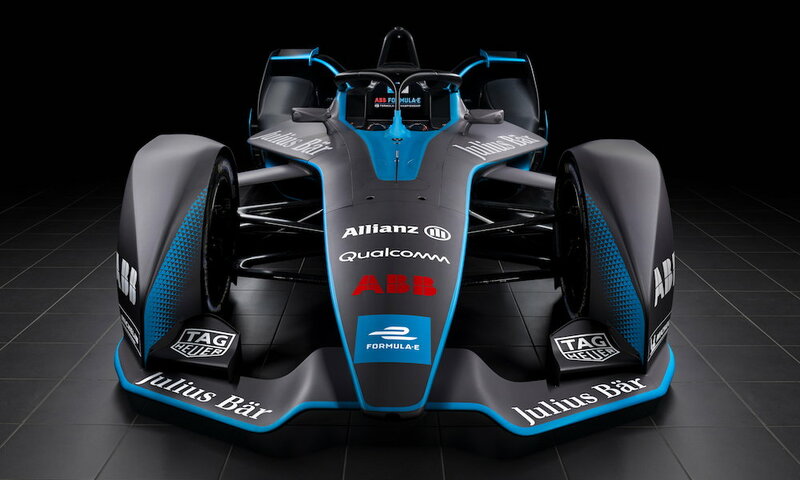 BMW, which will compete as a manufacturer next season, assigned the same engineering team that works on the company’s i Series battery-powered vehicles to design technology for Formula E.
“The experience they have will have an influence on what they do next in production,” said Jens Marquardt, BMW’s director of motor sport. The BMW team developed a motor for next season that is half the weight and a third the size of previous generations, while delivering twice the performance, Mr. Marquardt said. The motor would be too expensive for mass-market cars, he said, but some of the know-how that went into it — which Mr. Marquardt declined to describe, for competitive reasons — is transferable, he said. “What is happening in Formula E is exactly like the early days of motor sport,” he said. One area where teams compete intensely is in systems that recapture energy from braking and feed it back to the battery. All the Formula E teams use the same battery and deploy two cars during the race, switching to the second when the first runs low on juice. The car switch boldly underscores the biggest complaints about electric vehicles: limited range and slow charging. But the technology is improving quickly. Next season, the Formula E cars will get new, more efficient batteries that will last the entirety of the roughly 60-mile races, which take about an hour to complete. Still, making the most of the finite store of electrons will remain crucial to Formula E tactics. The more cleverly that teams can contrive combinations of software and mechanics to recover energy when the cars slow for curves, the more power they can unleash on straightaways. The driver who best mastered the Zurich course was Lucas di Grassi of the Audi Sport ABT Schaeffler team. But the Brooklyn event, a doubleheader that will determine the season championship, will be a contest between Sam Bird of DS Virgin Racing, who was second in Zurich, and Jean-Éric Vergne of the Chinese Techeetah team, the driver with the most points this season. Mr. Bird is the only driver with a chance of picking up enough points in Brooklyn to surpass Mr. Vergne. The Zurich event was the first legal car race on Swiss streets since 1954. Switzerland banned urban racing after a horrific accident in 1955 at the 24 Hours of Le Mans race in France. A Mercedes-Benz ricocheted off the track and into a spectator area, killing more than 80 people, the worst disaster in racing history. But Formula E’s green credentials helped persuade Swiss officials to lift the racing ban. Though Formula E cars aren’t exactly quiet, they produce much less noise than the gasoline-powered Formula One cars, and the electric cars are emissions free — although some Zurich residents pointed out that the vehicles involved in building the race venue generated plenty of noise and pollution. As European cities increasingly restrict traffic in an attempt to cut alarming levels of air pollution, Formula E demonstrates what may be the auto industry’s best hope for remaining welcome in urban areas. 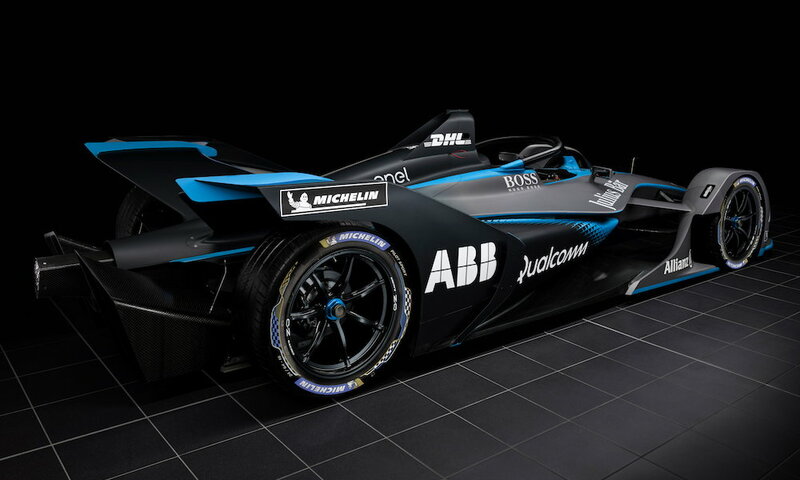 Nissan has bought a stake in the e.dams Formula E team, with which the manufacturer will make its debut in the electric championship in the 2018/19 season. The sum and share of the stake has not been disclosed, but Nissan has made its purchase from team owner and founder Jean-Paul Driot. Driot started the team in partnership with four-time Formula 1 world champion Alain Prost ahead of FE's inaugural season and its manufacturer alliance was with Renault until the end of the 2017/18 campaign. Ahead of Renault exiting, Prost sold his stake back to Driot, who had subsequently been the sole owner of the FE squad until Wednesday's announcement. "For Nissan's first Formula E experience, it makes sense to partner with e.dams and be able to draw on the organisation's experience of winning races and championships," said Roel de Vries, Nissan's corporate vice president and global head of marketing and brand strategy. "The level of competition in Formula E will get even more intense for season five, with a series-mandated all-new car and powertrain. "As part of our commitment to our partnership, Nissan has now purchased an ownership stake in the organisation, and we're excited to work with Jean-Paul and his team." Nissan e.dams is yet to reveal its season five driver line-up, although Driot recently explained to Motorsport.com that it expected to make its decision by the end of September. "With our new partner Nissan, we're eagerly awaiting the new challenges ahead," said Driot. "We're very proud of our history in Formula E, and we're looking forward to adding new pages to the series' history books with our new partner and the new car."